This is a recipe which I have brought from my student days, and is therefore very simple and uses a few store cupboard ingredients. It is, however, a real favourite with my younger daughter who asks for it on a regular basis! 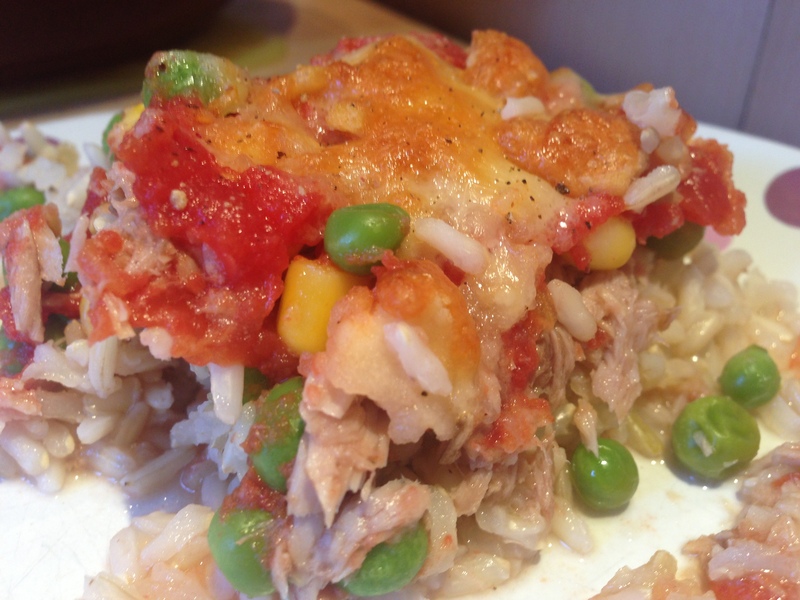 Spread out half a tin of tuna in Mini Baker, on top put half a tin of Tomtoes (if using plum chop them up a bit), then a handful each of peas and sweetcorn. 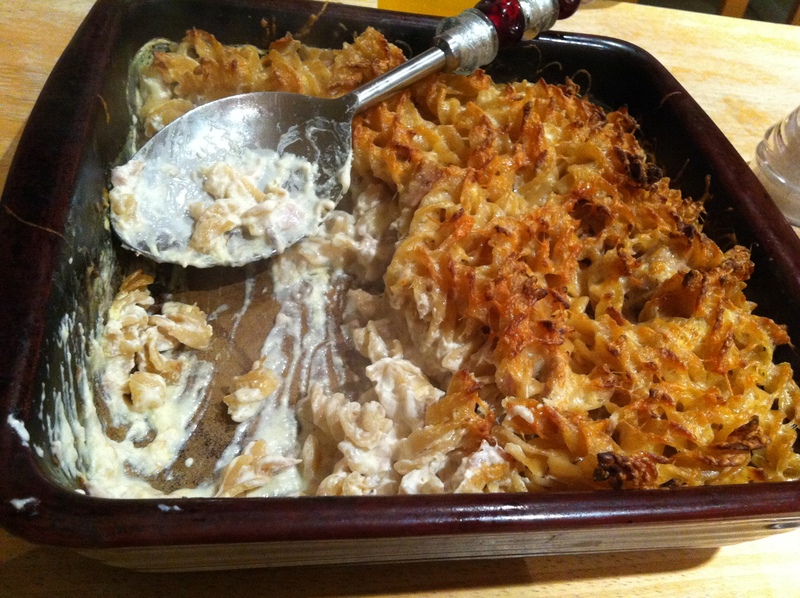 Top with crushed crisps and then grated cheese. This pasta bake always amazes me at how yummy it is with so little effort!! Cook the pasta according to packet instructions, when cooked drain and tip into stoneware baker. Mix the Cream Cheese, Stock & Tuna in Batter Bowl, add to the baker and stir well. Grate cheddar over the top. Cook in the oven at 200C for approx 20 mins until crispy golden on top. I serve with peas and sweetcorn.